The original Jade Empire was Bioware's first foray into their own imagined IP and universe, and released to wide acclaim as an original Xbox exclusive (and I mean original Xbox, the one that gave us Halo and Azurik and other small and not so small gems). 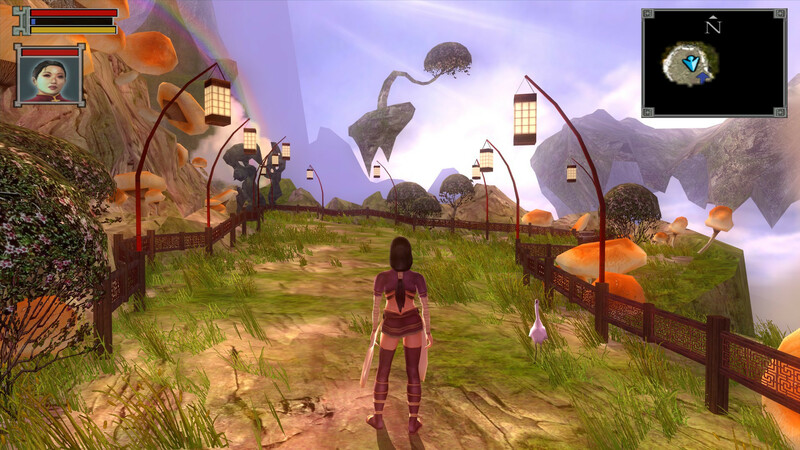 First outed in 2005, the game was later released for PC in 2007 with a Special Edition. Now, EA has filed for a trademark on the game in the "Goods and Services" category, allowing for "Entertainment services, namely, providing an on-line computer game; Provision of information relating to electronic computer games provided via the Internet." The fastest and dirtiest interpretation would be a multiplayer or always-online game, but we have to remember that all games now have a form of digital distribution and/or upkeep via downloadeable updates, so, it could really be as simple as that. It could also just mean that EA is keeping up with soon-to-be-expiring trademarks so as not to lose their rights to the IP, but still, launch of any game would require the establishment/renewal of such trademarks. We'll have to play the most unavoidable game known to gamers: the waiting one. Same attorney on all three, first two were Bioware, third is Electronic Arts. It's not registered yet, I think it's entirely possible that USPTO will deny registration on the grounds it too closely matches the existing trademark. That said, I hope they remaster the original. It's old and was a market flop because of poor timing (one of the last games to release on Xbox). Oh sweet. Dragon Age Inquisition in the Far East. Errr jade empire isn't even close to dragon age except that they both happen to be rpg. Jade empire is all about martial art and chi. Meh it be another screw up, i would not be surprised it be a SJW controlled BS. SJW virus it's in the game.. Always online? Another "Fallout 76" I guess, sorry but I'll pass this one. It played more like KOTOR but you only control yourself (don't remember any companions) and in 16th century Asia rather than distant future. yeah but it's EA... so.. it's either DICE the FIFA engine or the DA team. Actually we have companions but we don't directly control them. Dawn Star, Sagacious Zu, Whirlwind, Hou with his drunken master style, Silk Fox a.k.a. Sun Lian, to name a few. Each companion affects our character with buffs. Like KOTOR, companions in tow are also affected by our decisions and all of them have their own stories/backgrounds. 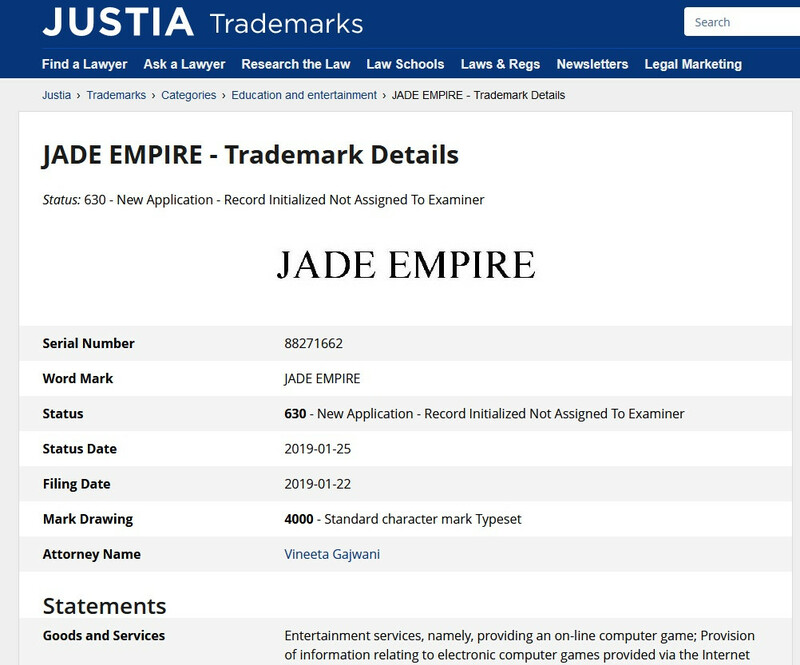 Jade Empire was from Bioware. If EA wanted to revive or remaster Jade Empire, chances are they would always be going for DICE's Frostbite engine like they did with Mass Effect.